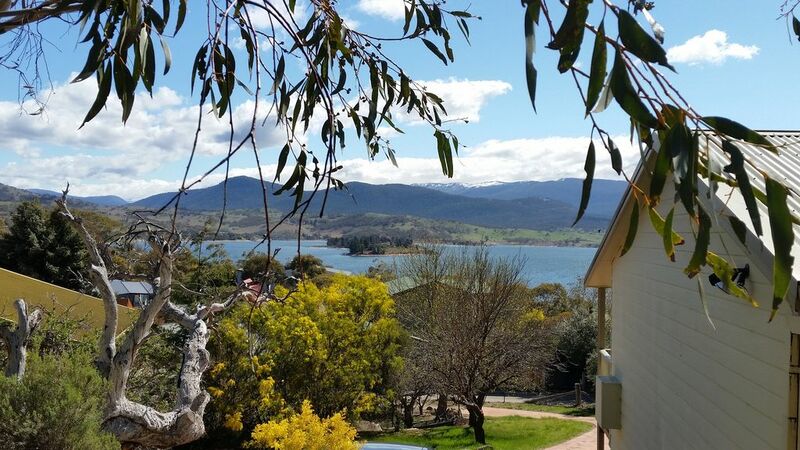 Cosy self-contained 3 bedroom holiday cottage located on the shores of Lake Jindabyne with pictureque views of the Lake and Snowy Mountains. * Fully equipped kitchen & laundry, linen, doonas & towels provided. Hi We are a family of 7 ( yeah a tribe !!) who all love skiing and the mountains. All kids started skiing at 2-3 yrs old at Perisher & Blue Cow. Eldest daughter progressed to be a ski instructor in Perisher for 2 seasons and 2 seasons in Steamboat, Colorado. Most of the kids have skied NZ, USA, Canada, & Japan, and still love our Snowy mountains. We also really enjoy summer by the lake and are blessed to have our little cottage by the lake and share it with our guests, many of whom have become friends. The view and everything was great but as it was summer the house was very hot. It would be great if an air conditioner was installed. Love to stay at this place, nice lake view, easy check in/out! Great price, close to town and snowy mountain, it has all we need, quite and clean. Cosy and warm, the cottage was the perfect place to stay while on our annual skiing holiday. The cottage was perfect for our family of five, beds were comfortable, shower had plenty of hot water, kitchen has everything we needed and kids loved warming up in front of the wood fire after a long day of skiing. We will be back!